Disappointment that Bank of England (BoE) Governor Mark Carney’s term wouldn’t be extended until late-2020 or even 2021 caused investors to sell the Pound Sterling to US Dollar (GBP/USD) exchange rate yesterday. So far this week, GBP/USD climbed from the week’s opening level of 1.2920 and touched a one-month-high of 1.3077 on Tuesday, before slipping again. GBP/USD currently trends near the level of 1.3031, as a lack of fresh drive in the US Dollar (USD) made investors hesitant to let GBP/USD fall below 1.30 again. Due to hopes that UK-EU Brexit negotiations were accelerating and EU Chief Negotiator Michel Barnier could become more flexible, the Pound (GBP) saw a jump in demand earlier this week which continued to support it on Wednesday. US Dollar demand has been limited too, as US trade negotiations with Canada have slightly dimmed market demand for safe haven currencies. At the beginning of the week, the Pound surged as investors reacted to comments from EU Chief Negotiator Michel Barnier. Barnier indicated it was ‘realistic’ to expect that a UK-EU Brexit deal could be reached within the next eight weeks, ahead of a major UK-EU Brexit summit in November. Speculation has also risen that UK and EU negotiators are facing pressure to offer more concessions in talks, to make sure that a deal is made rather than allowing negotiations to collapse. This has lightened fears that Britain was headed towards a worst-case scenario ‘no-deal Brexit’, and made investors less hesitant to buy the Pound. However, on Tuesday investors sold the Pound slightly from its best levels as Bank of England (BoE) Governor Mark Carney’s term at the bank’s helm was confirmed to have been extended to January 2020. As Carney’s term was only extended 7 months, it disappointed investors hoping he would stay on until late-2020 or even 2021. More consistency in the bank outlook is Pound-positive. The US Dollar’s persistent strength in recent months saw another boost last week, as US-China trade tensions worsened once again and investors became anxious that the US would fail to reach a new trade agreement with Canada either. As the US Dollar is a safe haven currency, it has benefitted from market uncertainty about how US trade protectionism could impact the global economy. However, this week so far hopes have risen again that the US could reach a new trade deal with Canada. This has lightened risk-off movement in markets and the safe haven US Dollar has slipped from its best levels. As recent UK data has been fairly solid and has justified the Bank of England’s (BoE) August interest rate hike, the Pound to US Dollar (GBP/USD) exchange rate is being weighed more by Brexit uncertainties than the domestic outlook. 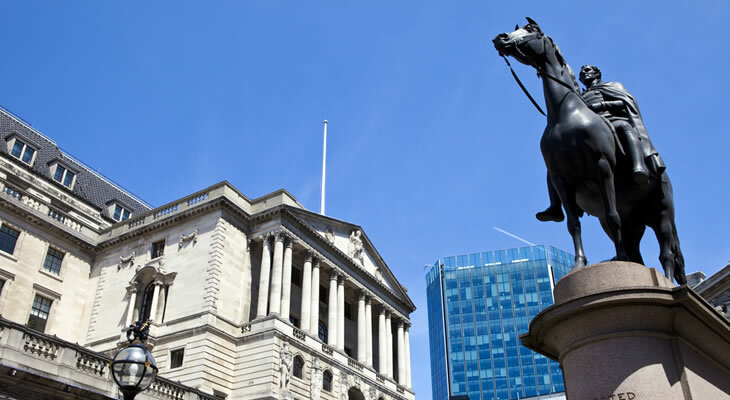 As a result, the Bank of England could potentially bolster Pound demand in its September policy decision this week if it indicates the market is being too bearish. Either way, Thursday’s Bank of England decision is the even that is most likely to drive the Pound this week, save for further possible Brexit developments. Thursday will also see the publication of August’s US Consumer Price Index (CPI) inflation rate report, which could influence the US Dollar if it surprises investors. Of course, the Pound to US Dollar (GBP/USD) exchange rate’s potential for gains will be limited if US trade jitters worsen again and the US Dollar benefits from market demand for safe havens.